Attorneys at Law Offices of Bruce C. Truesdale, P.C. New Jersey bankruptcy lawyer, Bruce C. Truesdale graduated from Rider College with a Bachelor of Science Degree in Commerce. Thereafter, Bruce studied business at the graduate level before enrolling in the Rutgers School of Law where he earned a Juris Doctor degree in 1989. Following his graduation from law school, Bruce served as Law Clerk to the Honorable Edmund R. Bernhard of the New Jersey Superior Court. After serving his clerkship with Judge Bernhard, Bruce entered private practice where he remains today. 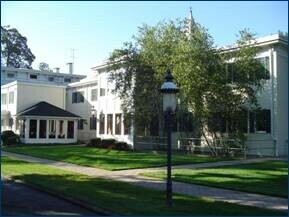 Bruce is a graduate of the Bankruptcy Inns of Court, an educational program focused on attorney instruction in the specialized area of Bankruptcy. Bruce has continued to serve with the Bankruptcy Inns of Court as a Barrister assisting in the instruction of new Bankruptcy Inns of Court Students. Bruce is also a member of the National Association of Consumer Bankruptcy Attorneys. Bruce C. Truesdale served two terms on the Lawyer’s Advisory Committee as a member of the Chapter 13 Sub-Committee. The Lawyers Advisory Committee for the District of New Jersey is constituted for the purpose of providing the Board of Judges with counsel regarding the practice of law before the United States Bankruptcy Court. It is also charged with regularly soliciting the bar for commentary regarding bankruptcy practice and providing those comments to the Board of Judges for Consideration. Recently, Mr. Truesdale was asked to testify before the New Jersey Law Revision Commission which is considering legislation to allow “For Profit” Debt Settlement Companies to operate in New Jersey. Michael Khalil is a lifelong resident of Middlesex County, New Jersey. He is licensed by the Supreme Court of New Jersey and is admitted to practice law before all courts in the State of New Jersey. He is also admitted to the United States District Court for the District of New Jersey. Mr. Khalil graduated from Kean University in Union, NJ with honors before receiving his J.D. from Drexel University – School of Law in Philadelphia, where he was selected to be a member of the law school’s appellate litigation clinic. In that capacity, he successfully argued cases before the United States Court of Appeals for the Third Circuit. Mr. Khalil’s practice is dedicated to consumer bankruptcy, mortgage modifications and real estate law (he previously worked as a licensed New Jersey Realtor). He works primarily in the Freehold and Woodbridge offices. Mr. Khalil joined the firm as a legal assistant in June 2014, working part time while completing law school, assisting in all aspects of the bankruptcy practice. Since becoming a full time associate, he has developed a specialty in chapter 13 reorganization plans and facilitating mortgage modifications. 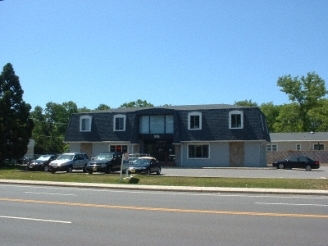 Law Offices of Bruce C. Truesdale, P.C. 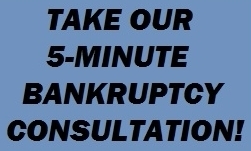 Please browse the different areas of our site to learn more about bankruptcy in New Jersey. Feel free to contact the office of Bruce C. Truesdale. We look forward to hearing from you soon.